Back when it was announced how a man I'd never heard of, Gerard Way, would be making a comic for Dark Horse, I looked into who he was and learned he was the lead in the band, "My Chemical Romance." I thought to myself, "Oh great, another celebrity pretending to make a comic who isn't going to actually do anything besides slap their name on it." 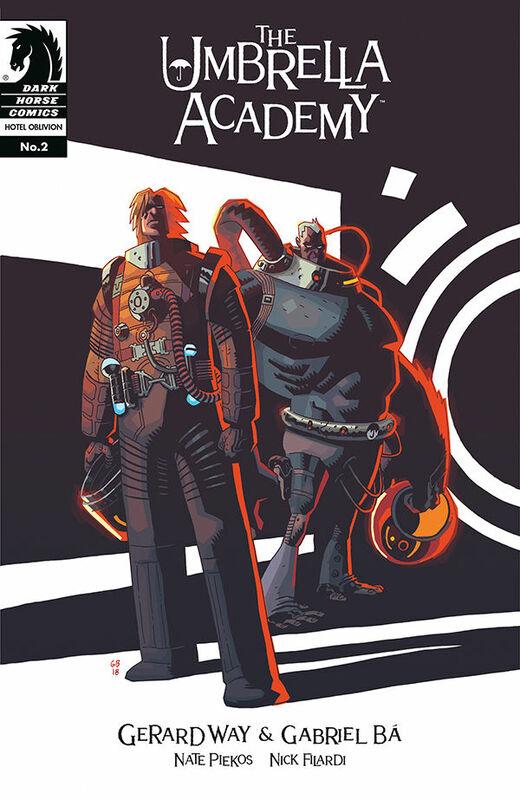 That was in 2007, and then the Free Comic Book Day preview of the series, "Umbrella Academy," came out from Dark Horse and made me say, "Whoa." Afterwards I read the first series/volume, "Apocalypse Suite," and loved it, followed by the equally delightful, "Dallas." 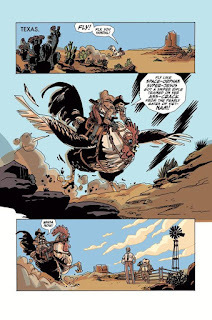 With the artwork of Gabriel Ba complimenting Way's surreal writing expertly, I adored this series and realized Gerard Way was a comic-crafting master. Kind of super-hero comic, but not really, "The Umbrella Academy," were super-powered kids adopted by an eccentric rich guy who grew-up into a variety of dysfunctional adults. Way's writing style had the strange otherwordly-elements of Grant Morrison mixed with the sharp cynicism of Warren Ellis, and I couldn't get enough. The only problem was, those two volumes plus some assorted one-shots and such were all we got, for some time. Way went on to be busy both with his band and embarking on other comic-related projects such as the tragically short-lived imprint, "Young Animal," at DC. However, it was announced recently there will be a Netflix series based on the comic, and I guess either that inspired Way and Ba to make more, "Umbrella Academy," or they realized if they want it to have a bunch of seasons there needs to be additional material--whatever the case, "Umbrealla Academy," has returned and I am happy. 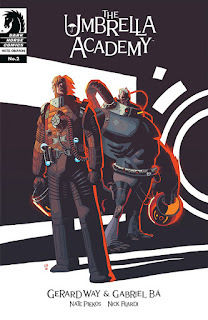 The first two issues of the third volume, "Hotel Oblivion," have followed the even further-fragmented team as it picks up the pieces of what's left of the family after how volume 2, "Dallas," ended with only further ruins and anger. These issues have introduced some interesting new elements as well, whilst drawing from the previous entries. "Umbrella Academy," has always been a dense read and the third volume is not the place to try to start reading it by any means, as there is little in the way of recap as opposed to the book just going full-steam ahead with its usual weird and wacky fun. Gerard Way and Gabriel Ba both continue to be on the top of their game, resulting in a stellar read. I'm loving what has come out so far and just hope after this volume concludes it we won't have to again wait a number of years for more, "Umbrella Academy,"-brand goodness.